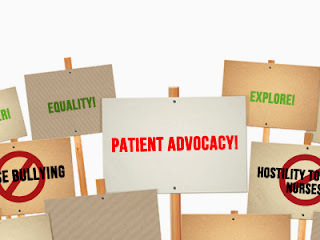 Patricia Noonan RN, MBA, CCM, who chairs the Public Policy Committee of the Case Management Society of America (CMSA), served as a catalyst by launching a "Nurses Lead the Way" Call to Action Campaign. Members of CMSA were asked to take action to support H.R. 485 /S. 1475, The National Nurse Act of in tandem recognition with National Nurse's Week. Activities included outreach to members of the House and Senate to request their co sponsorship of this legislation. CMSA also is looking into including information in their upcoming Public Policy News to share information with members and urge their support. CMSA has over 10,000 members. The NNNO has already received requests for information and assistance to make their outreach to Congress successful. It is rewarding and an honor to partner with the Case Management Society of America as this is a premier membership association that provides professional collaboration across the healthcare continuum to advocate for patients’ well being and improved health outcomes by fostering case management growth and development and impacting health care policy. 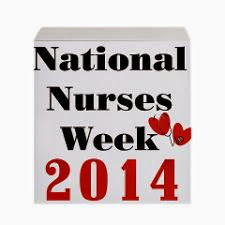 Washington, DC – (Tuesday, May 06, 2014) - May 6th through May 12th is recognized as National Nurses Week. Congresswoman Eddie Bernice Johnson, the first registered nurse elected to Congress, introduced a Congressional Resolution (House Resolution 540) and released the following statement in recognition of National Nurses Week. Congresswoman Johnson continues to be a leader in the fight for expanding recognition and empowerment of nurses throughout the nation. During the 113th Congress, she introduced the National Nurse Act of 2013 with Republican Congressman Peter King. This act would designate the Chief Nurse Officer of the U.S. Public Health Service as the “National Nurse for Public Health.” The National Nurse for Public Health would function alongside the Surgeon General and focus on promoting health, improving healthcare literacy, and reducing health disparities. Nurses across the country are galvanizing behind this year’s theme for National Nurses Week (May 6-12): ’Nurses Leading the Way’, as they continue their quest to slow rates of chronic disease and thus reduce Medicare and Medicaid costs. The clear solution: Involve more nurses in PREVENTION in every community guided by a prominent highly visible nurse leader. Legislation is now in both chambers of Congress designating an existing position, the Chief Nurse Officer of the U.S. Public Health Service as the National Nurse for Public Health. This action will enhance the momentum of the Medical Reserve Corps, strengthen existing public health infrastructure, and mobilize available resources of willing nurses and other healthcare workers within each community to deliver and reinforce messages of disease prevention. National Nurses Week is an opportunity to step forward and take action. Nurses everywhere can take simple steps to make a big difference to improve public health and elevate the nursing profession. Start by writing a letter to your US Representative asking that he or she sign on as a co-sponsor for H.R. 485, The National Nurse Act of 2013. The same strategy that worked for Florence Nightingale so many years ago, facilitated by technology, can be even more effective today especially if the response comes from nurses everywhere. Florence Nightingale stated, “I think one's feelings waste themselves in words; they ought all to be distilled into actions which bring results”. 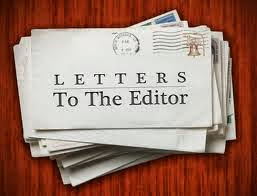 Send a quick letter in support of designating the Chief Nurse Officer of the US Public Health Service as the National Nurse for Public Health to your legislators, to a major national newspaper and/or to your local community newspaper, or even to your nursing organization’s newsletter. Email it, or snail mail it, but DO IT! A template is provided below that includes information on how our society could benefit from a National Nurse for Public Health. Five state legislatures (Massachusetts, New Jersey, New York, Oregon, and Vermont) have already passed resolutions urging Congress to enact the National Nurse Act of 2013, bringing the total to 143 organizations and prominent individuals supporting this legislation. This popular proposal is simple, pragmatic, and cost-effective. A National Nurse for Public Health could unify, inspire, and engage many willing nurses to promote health and disease prevention. Nurses represent the most trusted health profession are well suited to deliver prevention messages that our nation desperately needs to curb epidemics. These include not only communicable diseases, but also preventable chronic conditions such as obesity, heart disease, and Type 2 diabetes that cost our country trillions of dollars each year. Nurses consistently promote healthy behaviors as a cornerstone of care, no matter where they work in. Our nation’s 3.2 million nurses are licensed, knowledgeable health professionals and are present in every community. Many are bicultural and span broad and diverse community populations. These factors make them a ready resource to mobilize for prevention efforts. If you agree, let your elected officials know. Locate your elected U.S. Representative and Senators at http://contactingthecongress.org. As a nurse, concerned about the health of our nation, I work daily with patients and members of the public who would benefit from the expertise of a National Nurse for Public Health. Congress is taking notice by supporting H.R. 485, The National Nurse Act of 2013 that will provide this unique designation to an existing nursing position, the Chief Nurse Officer (CNO) of the Public Health Service (PHS). The goal is to create a more visible identity for the CNO to lead improvements in Americans’ health and raise the profile of the entire USPHS. Why is this action critically important? Chronic diseases, many which are preventable, are the most prevalent of all health problems. The potential of the nursing workforce to improve our nation’s health is too great a resource to waste. Nurses are more trusted and spend more time with patients than any other healthcare provider. Year after year, Gallup polls affirm that Americans respect and listen to nurses on health issues. The National Nurse Act of 2013 will highlight and expand their important roles, and will maximize contributions that nurses can make daily to promote wellness and disease prevention. May 6-12th is National Nurses Week. The theme this year is “Nurses Leading the Way”. There is no better time to validate the contributions of nurses, provide respect and express genuine appreciation for our valuable nursing workforce. I hope others feel the same and will visit http://nationalnurse.org to become active supporters of this important legislation.